This week, as part of the Collections Care Project, the team is working on photographing and updating the catalogue records for some interesting canes. Some of them reveal more than you would initially expect. Canes have a very humble and innocuous beginning. Originally used just as a personal support device, the cane’s function has evolved over time. The popularity of the cane peaked between the sixteenth and nineteenth centuries due to its role as a social status symbol. During this period of popularity, innovation flourished, which resulted in the development of different canes that had a multitude of functions. 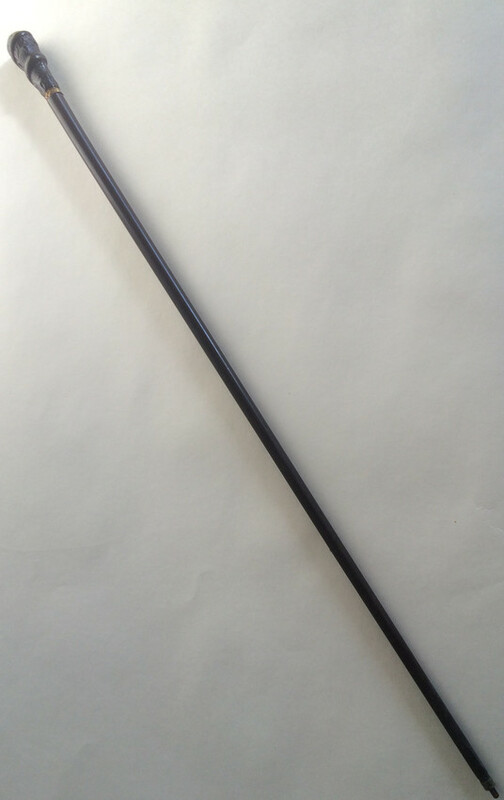 One such innovation was the development of the weapon cane. Like the one seen here, the weapon cane, or in this case the sword cane, was designed as an advanced self-defense weapon. These canes were artfully developed to conceal the blade until it was needed most. Over time several different types of sword canes have been developed and some can produce a blade with just the flick of the wrist. Please consider a gift to the Collections and Conservation Fund to help us continue work such as the Collections Care Project.